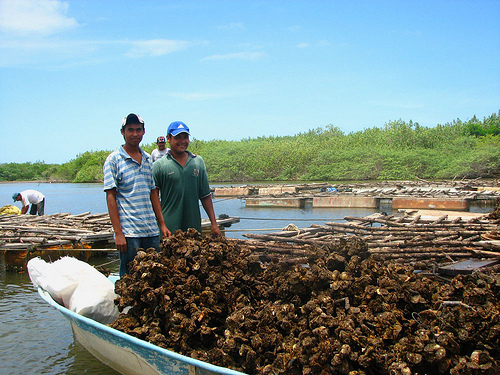 Riviera Nayarit Mexico Blog: How about some fresh Oysters in Riviera Nayarit? How about some fresh Oysters in Riviera Nayarit? We are heading to Boca de Camichin, north of Riviera Nayarit, alongside Rio Grande de Santiago Ixcuintla, where the river flows into the sea. To get to this community of oyster fishermen you must make a stop in the town of Santiago Ixcuintla before continuing 19 kilometers (12 miles) toward the southwest, and then take a boat ride through the canals and surrounding lagoons lined with mangroves and rushes.